Low top black trainers from Eytys with premium silky suede uppers. 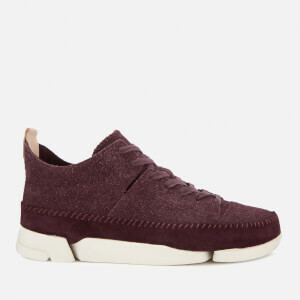 The ‘Mother’ low top sneakers have a classic, plimsoll-style design with a waxed lace fastening and tonal stitched detail around the toe and heel. The trainers sit on an off-white, vulcanised rubber sole with foxing on the midsole and a ripple textured outsole. A cork insole provides arch support and all-day comfort. Finished with tonal bound edges, a contrasting purple strip and an Eytys licence plate on the heel. A spare pair of off-white laces and a branded dust bag are included. Upper: Suede. Lining: Cotton. Insole: Cork. Sole: Rubber.